Recipients, all in semester four are Mark Floyd, Michael Taylor, Stephen Smith, Justin Hruska, and Benjamin Wayment . 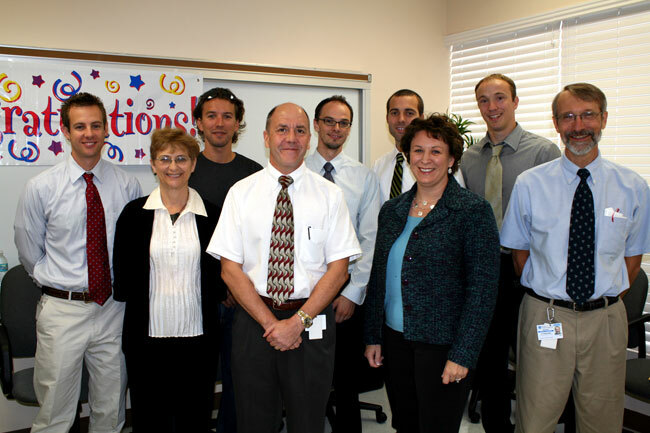 "The curriculum at Ross University School of Medicine is accelerated and quite rigorous. We are proud of students who make the Dean’s List; they deserve recognition for the academic efforts to accomplish this level of learning,“ said Dr. Mary Coleman, Dean of Ross University. The students received their certificates from Dean Coleman, assisted by Dr. Michael Robinson, Assistant Dean, Curricular & Faculty who also offered opening remarks. E ncouraging words were offered by Meg Osman, Director of Student Services. 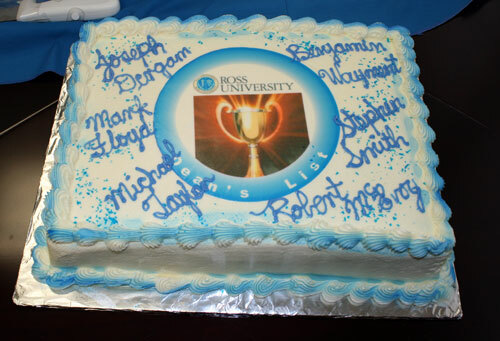 The students, along with family members and faculty celebrated with food, sparkling apple cider, and cake.